What are the Benefits of Invisalign Braces for Philadelphia residents? Adults who have crooked and misaligned teeth may cringe at the idea of undergoing traditional orthodontic treatments. 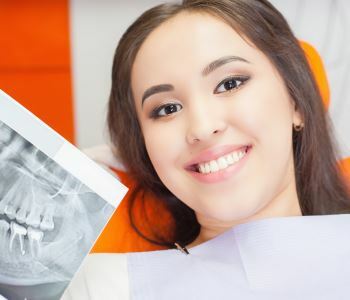 The unattractive appearance of metal brackets and wires hiding the teeth can affect a patient’s self-esteem and be a setback in both their business and personal relationships. However, there are alternative ways for patients to straighten their teeth without the need for metal braces. Many patients who want to address an imperfect smile may talk to their dentist about Invisalign braces. Philadelphia area residents may contact David Spilkia Family and Cosmetic Dentistry to schedule a consultation appointment to learn more about the benefits that Invisalign braces have to offer. The process of Invisalign orthodontic treatment utilizes clear medical-grade plastic aligner trays. These are worn all day and all night to push teeth slowly and gently into new positions. Since they are clear and difficult to distinguish while a patient is wearing them, they are a wonderful alternative to unsightly metal braces, which can overwhelm a patient’s smile. Invisalign aligner trays are removable, which makes them extremely easy to clean. This also allows patients to brush and floss their teeth without having to work around wires and brackets. This makes Invisalign braces a more hygienic option. When patients have traditional metal braces, their orthodontist will give then extensive lists of restrictions: no gum, no taffy, no popcorn, and several other things to avoid. Fortunately, Invisalign braces give patients the freedom to enjoy what they like, since they can remove the aligners when they eat and drink. Metal bracket and wire braces can be uncomfortable and irritate the mouth. Orthodontists will typically give patients orthodontic wax to cover areas of discomfort, but this wax often does not stay in place and is difficult to use. Invisalign aligner trays are smooth and comfortable, yet have the strength to realign smiles effectively. Do you have questions about Invisalign braces? Philadelphia dentist Dr. Spilkia is a Certified Preferred Provider of Invisalign braces and can help answer any of the questions you may have in regards to undergoing this amazing orthodontic treatment.